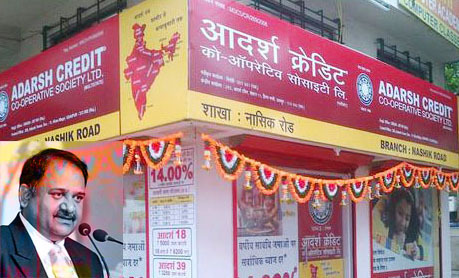 In the wake of the reports received from the Serious Fraud Investigation Office (SFIO) and from the Income Tax Dept against Adarsh Credit Co-op, the office of Central Registrar has issued notice to the Ahmadabad headquartered credit co-operative. Central Registrar observes that the in the Adarsh Credit Co-op Society the deposits collected by the members have been used for the benefit of a few members belonging to one family. This amounts to violation of cooperative principles. The Society has extended loans to companies which cannot become members. Section 25 of the MSCS Act, 2002 does not permit the multi State cooperative societies to admit private companies as members. Further, as per bye-law number 4 of the Society, adult individuals can be admitted as the members of the Society, the notice reads. Therefore the society is found to violate Section 25 of the MSCS Act, 2002 and the bye-laws, it says. The loans have been sanctioned without due diligence which indicates that the board of the society has unduly favored a few members and misused the money of the other members for personal gains, which again amounts to violation of cooperative principles. The society can accept deposits from its members only, however, the existence of bogus depositors indicates that the society is holding money from external sources also, which amounts to carrying out activities akin to banking without the permission of the same from RBI. This amounts to violation of Banking Laws, it observes. Extending loans to non-members and acceptance of deposits from non-members also amounts to carrying out activities akin to banking which can be construed as violation of Banking Laws, it opines. Having considered the findings of SFIO report and the report furnished by Income Tax Department, this Authority is of the view that the Society has been found to violate the provisions of its bye-laws and the MSCS Act, 2002 and the society has ceased to function on cooperative principles, the notice reads. “In exercise of powers conferred under sub-section 2(b) of Section 86 of the MSCS Act, 2002, I, Dinesh Kumar, Central Registrar of Cooperative Societies serve upon this notice to the society, directing the society to explain within 15(fifteen) days from the date of receipt of this notice that why the society should not be wound up under sub-section 2(b) of section 86 of the MSCS Act, 2002”, the notice reads. If nothing is heard from the Society within a given time it shall be presumed that, the society has nothing to say in the matter and further orders in the matter shall be passed ex parte, it concluded. Attempt to contact officials of Adarsh failed despite repeated efforts by the Indian Cooperative. the situation will going worst. 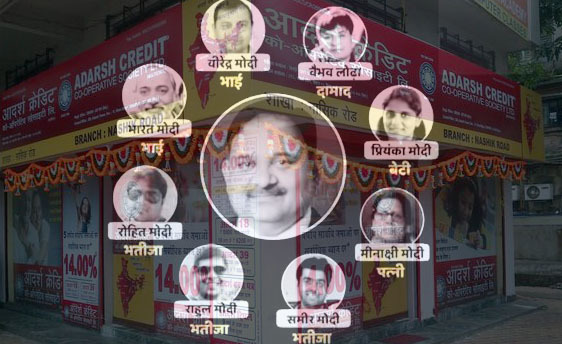 Hope the Individuals being the mastermind of the scam [ bringing disrepute to credit society and to cooperative movement – no less than a treason ] are identified and names made public at the earliest. The laxity on the part of those responsible to ensure that such people do not get way is the main cause. The Union Minister of Co-operation should notify on website names of persons responsible to monitor the scam with responsibility to report quarterly progress. Mr.mohit agrawal mscs is part of govt. They clearly mentioned that they take action of wound up on after 5sept.government already gave many notice to him but adarsh and his authority not gave any reply to him.its clear they make huge fraud because sfio and income department it’s an part of indian government not it’s an private institute.